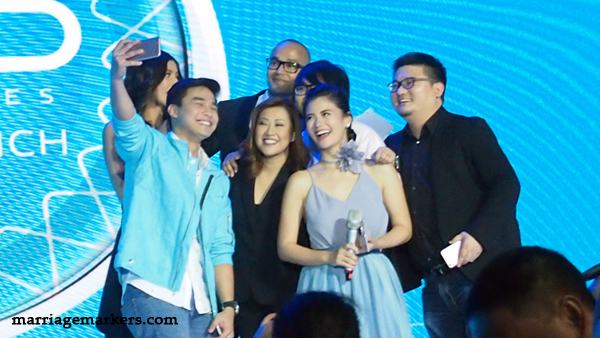 Vivo V5 influencers and Vvo executives taking their perfect selfie on stage. The first time I heard about Vivo as a mobile phone brand was when I saw a post on facebook that they have the thinnest smartphone. The second time was when my brother who works in China mentioned this to us during our New Year’s Day beach getaway. 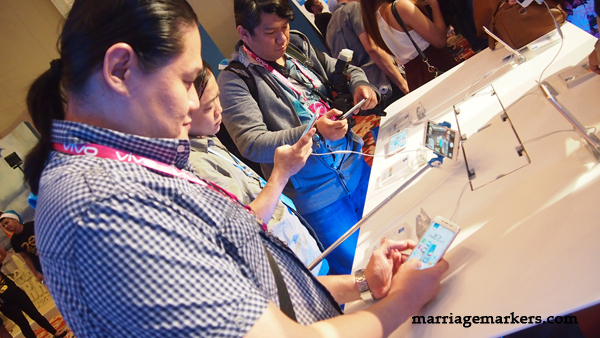 He boasted of how the Vivo had an impressive camera showing off his Vivo phone to us. 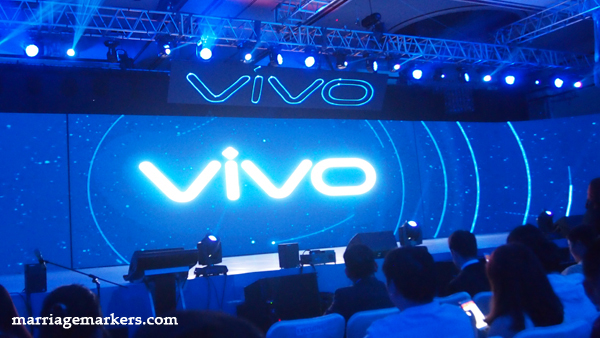 That time, however, Vivo has yet not entered the Philippine smartphone market, as it was only in March 2016 when Vivo invaded the country. And they have made strides aiming to dominate a market of its own. By a blessed turn, I got invited to a grand unveiling of their latest smartphone last November 23, 2016. 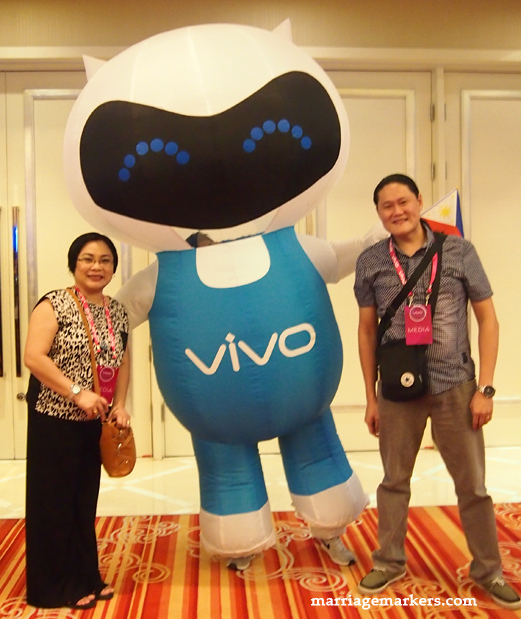 Vivo, now the top 5 global smartphone manufacturer, revealed during its grand and exciting launch at the Solaire Resort — the Vivo V5 smartphone. The Vivo V5 smartphone boasts of Perfect Selfie capabilities with its high-quality front-facing camera, fast performance, and upgraded features that ensure great experiences for its users. Energetic hosts Will Devaughn and Shamcey Supsup led a lively party. The whole place was “electrified” with the energy for the event. The Vivo V5 sports an all-metal unibody shell back case that comes in champagne gold and rose gold colors. Up front, it features a 5.5-inch 1280×720 HD display clad in 2.5D Corning Gorilla Glass for protection, giving the V5 an ideal premium feel in the hand. Performance wise, the Vivo V5 is equipped with a MediaTek MT6750 octa-core processor running at 1.5GHz and paired with 4GB of RAM and 32GB of internal storage expandable via micro SD up to 128GB. The Vivo V5 features an innovation that is set to be the benchmark of future smartphone photography. It is equipped with a 20-megapixel Moonlight front-facing camera featuring a 1/2.78” Sony IMX376 camera sensor coupled with a 5 piece lens system and an aperture of f/2.0. It also comes with a front-facing soft-light flash that helps illuminate its subjects whenever they take a selfie, ensuring that its users can capture the perfect selfies anytime and anywhere. Meanwhile, its rear camera boasts of a 13-megapixel sensor that features phase-detect autofocus that will help users snap photos as they happen. Furthermore, Vivo’s V5 smartphone is also equipped with a 32-bit AK4376 digital to analog converter Hi-Fi chip. This is an innovation music lovers would love to have in their phones. Vivo also loaded the V5 with its proprietary operating system, Funtouch OS to version 2.6, based on Android’s 6.0.1 Marshmallow operating system to give us phone users a better experience. Since their Funtouch OS 2.0, they have decreased the bulk of the OS and also added finer details to it, making it lighter. This also gives faster response, and easier to use. 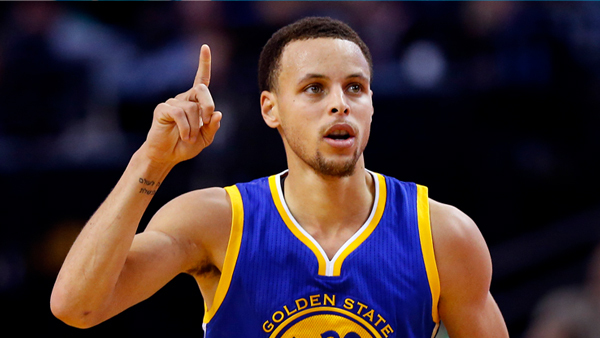 Stephen Curry–Vivo V5’s international ambassador. Photo from the internet. Among its new features is an improved version of Vivo’s take on multitasking, Smart Split 2.0, which allows users to view two apps side-by-side. This is a feature multi-taskers will love. You no longer have to pause the video you are watching when a text message comes in. Just click once to split the screen in two. Then reply to the message appearing on one side of your screen while still enjoying your video in the other. Currently, this feature supports most of the popular apps with more coming soon. Another cool feature is the Eye Protection Mode, which filters blue light from the screen to protect its users’ eyesights. Articles about sleep deprivation due to use of cellphone before bedtime has been making the rounds the last few months. That article reveals that people lack sleep for using the gadgets before going to bed not knowing that this keeps them awake and give them a hard time falling asleep. This feature allows you to use your phone before sleeping, yet no longer hinders your ability to sleep at the time you want to. The Vivo V5 Plus will be coming soon on Philippine shores at only PHP 12,990. Consumers can also pre-order the V5 smartphone in major retailers starting November 23 to receive exclusive freebies including Vivo speakers, Vivo selfie stick, and a Vivo-branded phone stent. After trying it out in their experience booth, I think I want it, too. I loved the feel of the phone. How I wished that I could have brought it home with me so that I can explore it more.